When Rowan Karstel joined Buffalo Coal in October of last year, the South African mining firm was faced with a number of rising challenges, not least the flattened prices in the global coal mining industry. At the nadir of a three-year plummet and confronted by several operational limitations at the two primary collieries, Karstel and his team devised a new financial and operational strategy for Buffalo. In a stroke of good fortune for the interim CEO, coal prices began to pick up again not long after his appointment, which provided the foundations for the recovery of the company. In the immediate years prior to Karstel’s arrival, Buffalo had gone through a rebrand in 2014 and moved away from its previous name Forbes & Manhattan Coal but maintained ownership of its two operating mines, Aviemore and Magdalena, located in the coal mining town of Dundee in KwaZulu-Natal. Aviemore is a drill and blast operation stretching across 5,550 hectares of land, producing roughly 50,000 tonnes of anthracite coal per month. However, the facility is currently operating under a number of constraints which have prevented it from reaching optimum efficiency. Ventilation levels within the mine are fast approaching legal limits, dips in power have become a consistent and major challenge, while mining crews are expending extensive amounts of time travelling to the mine, as the current production section is 4km from the adit. “Last year, we conducted a life of mine exercise on Aviemore and highlighted to the board the need for a new adit,” says Karstel. “We did a quick study and concluded that we would have to build a new North adit at a cost of about R200 million (around US$15 million). We have just completed the pre-feasibility and are now moving into feasibility, and from next year we will look at funding. Buffalo’s other primary asset in Dundee is the Magdalena thermal coal deposit, which is currently operated by contractor STA Coal Mining Company and has a plant capacity of 120,000 tonnes per month. In the past, roughly 70% of Magdalena’s thermal coal was attained by underground mining with the remaining 30% mined via open-pit. However, the open-cut reserves near Magdalena have depleted in recent years meaning Buffalo has had to recover greater ores from underground, which has posed a number of challenges not just because of the higher costs involved in the latter method, but because of the complex geology at Magdalena. Buffalo will address these challenges at Magdalena in due course but is focusing its current efforts on the expansion work at Aviemore. Nonetheless, Buffalo’s beating heart in Dundee is the Coalfields complex, a multi-purpose hub comprised of a wash plant facility, a calcine plant (owned by a third party) and a 160,000 tonnes per month capacity rail loading facility. Coalfields is located roughly 14km from Aviemore and 30km from Magdalena, which allows Buffalo to benefit from a relatively tight-knit and smooth flow of materials from mine to processing plant and on to distribution centres. Buffalo transfers its anthracite coal from Aviemore to the wash plant at Coalfields via truck, before transporting tailings to the waste dump at Magdalena. “But at Magdalena, the thermal mine has got its own wash plant, so we wash the coal there and bring the saleable project down to Coalfields to be transported by truck or rail to clients, leaving the discard at Magdalena,” explains Karstel. 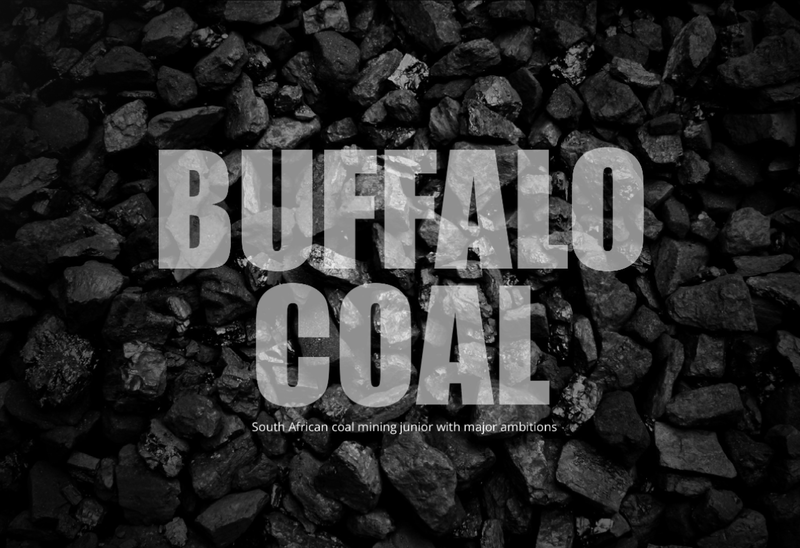 Crucially for the firm’s exporting business, Buffalo’s operations are well connected by road, rail and sea, where Buffalo has access to 204,500 tonnes per annum of Quattro export capacity at the coal terminal in the Port of Richards Bay. The Richards Bay Coal Terminal (RBCT) happens to be the world’s largest coal export facility with an annual capacity of 91 million tonnes, and is connected to Dundee via a railway line which is crucial for Buffalo’s revenue flows because it exports 50% of its anthracite and thermal coal. However, instead of damaging Buffalo’s prospects, Karstel believes his company can benefit from the charter and build on its position as an emerging junior player in the national sector. “With the new mining charter in South Africa I don’t think many new mines will open in the next two or three years, so on the demand-supply side I think we are well positioned to supply the national anthracite and thermal markets. “We are a typical junior player. I think there is space for junior players in the market and fortunately, we’ve got niche products,” continues Karstel. It is of paramount importance that Karstel’s confidence in Buffalo’s prospects in the domestic coal market is not misplaced as the major challenge from a financial perspective centres on the paying back of various loans. During the coal prices slump a fair amount of debt was built into the company as it resorted to taking on a loan of around R200 million from Investec as well as a smaller sum from private equity fund Resource Capital Funds (RCF). Buffalo Coal is striving towards a number of short and medium-term aspirations on both an operational and financial level, as it emerges out of a sticky period in the national and international coal industry. The board has outlined a clear strategy to develop Aviemore, with the new North adit set to increase the quality of anthracite produced and extend the life of the mine by 15 years, and aims to begin repaying the Investec loan by early 2018. Even though many developed nations are beginning to transition away from coal as an energy source, Karstel remains upbeat about Buffalo’s prospects in the domestic market and in similar emerging nations.